Our Task – Deliver a Responsive Website, to focus on the growing Mobile Traffic, and make it easy to manage for the Administrator. 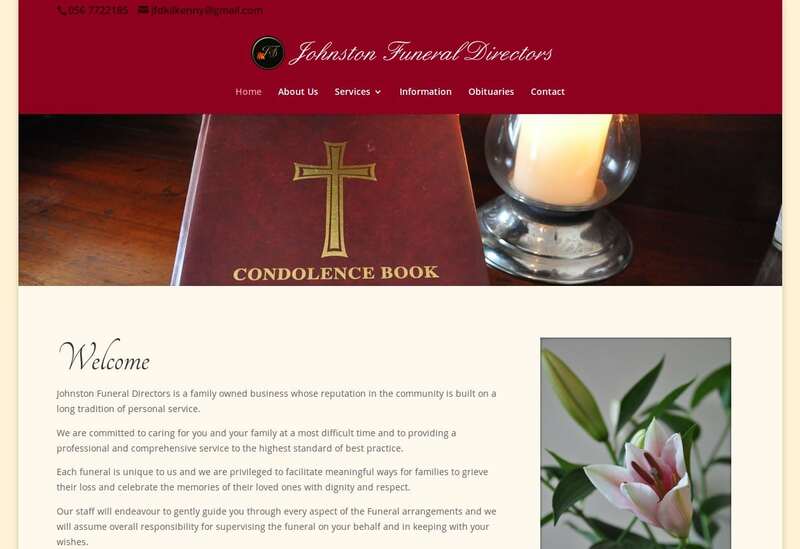 Johnstons Funeral Directors’ website makes use of the WordPress CMS to deliver an user-friendly, mobile ready website. They wanted to focus on both Elegance and Simplicity, without avoiding being useful to the website visitors who reached the website to make use of their services. We at Handyweb are expert in designing Websites for Funeral Directors.